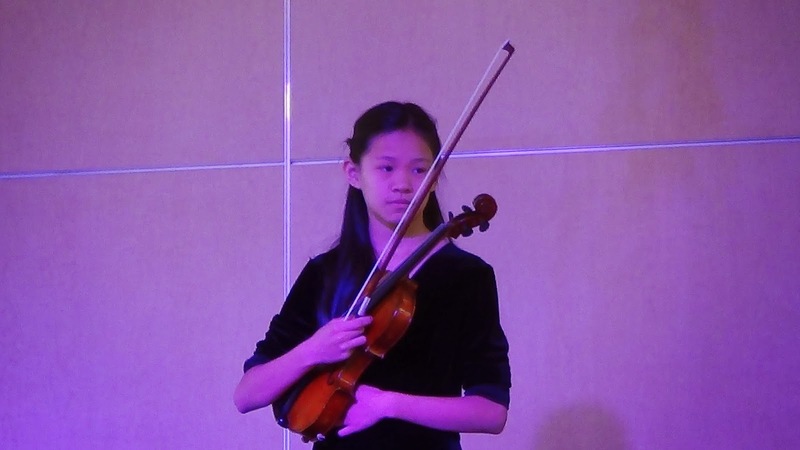 Olivia Chen is a twelve year-old violinist and seventh grader at Cabin John Middle School. Olivia began violin lessons a week after she turned four years old, moving through Suzuki books 1-6 in her first two years under the tutelage of Joyce Durfee in Houston, Texas. She then commenced studies with Henry Rubin and became a young member of the Houston Youth Orchestra. At the age of seven, Olivia and her family moved to Howard County near Baltimore. There she continued her studies with Herbert Greenberg at the Peabody Conservatory. After moving to Montgomery County, Olivia continued lessons with violinist and teacher, Emil Chudnovsky for a year and a half. In the Fall of 2013, Olivia began studies at the Horman Violin Studio in Washington, D.C. with violinist and teacher, Amy Beth Horman. This year Olivia was featured in master classes with Baltimore Symphony Concertmaster Jonathan Carney, Olivia Hajioff, Marc Ramirez, James Stern, and New Mexico Symphony Conductor and violinist Guillermo Figueroa. This June She represented the studio in an exclusive class with Juilliard Professor, Shirley Givens in New York City. Olivia was given the distinct honor of being the Associate Concert Master of the Chamber Ensemble for the Maryland Classic Youth Orchestras (MCYO) this year. She has been selected to perform on the Music Friends Concerts at the Alden in 2014-2015. Olivia is also a prize winner in the American Protégé International Concerto Competition and will be featured in a concert at Carnegie in the Fall of 2014.